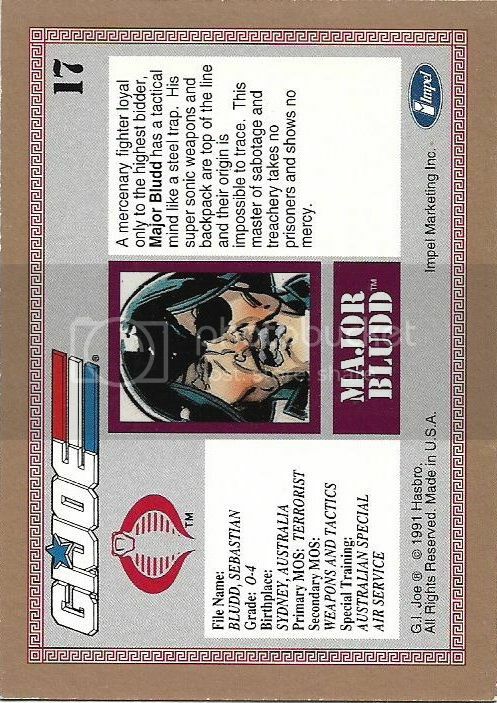 I Have Major Bludd Card numbered 17 with a gold border looks like the same style as 1991 Impel G.I. Joe Not sure if it's part of a promo set or was it included with action figures. Nope...after research it sounds like this might be a rare set to track down. 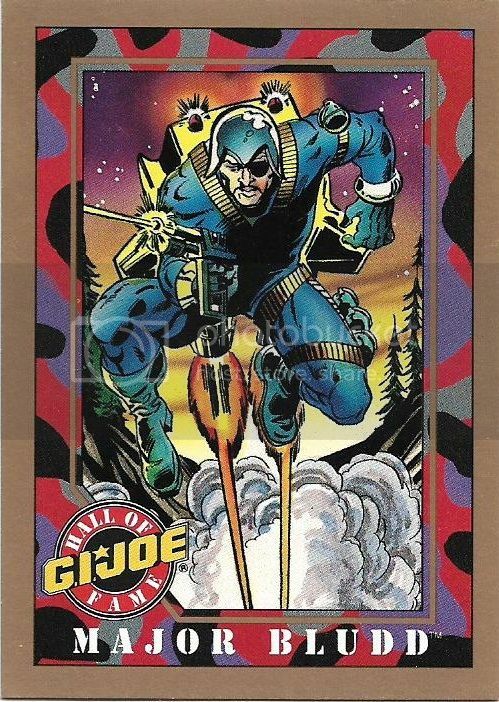 Really would like to get my hands on the checklist to see what card is what.